HARD-WIRED brake controllers could become a thing of the past for caravanners, thanks to a NSW developer's revolutionary invention. In an Australian first, Central Coast local Craig de Leon has come up with Elecbrakes, a $649 electronic brake controller which eliminates the need for wires and allows users to control their brakes via bluebooth and their smartphones. Unlike traditional electronic brakes, the self-taught product developer’s system is designed to be fitted to the trailer rather than the car. 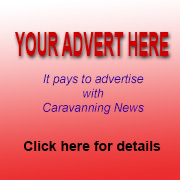 Craig told Caravanning News the device took two years to develop and test, including 1000-plus hours trialling the units under a variety of conditions. This involved a 5000km trip to Birdsville with three caravans, road trips along Australia's east coast and traversing hilly places such as Kangaroo Valley in NSW. He said the system was powered by the tow vehicle's tail-lights, with the option of a second auxiliary power input. It set up a two-way communication system between the tow vehicle and trailer via Bluetooth to ensure user-safety and improved brake response. "When the driver applies the brakes, the Elecbrakes' electronics calculate the required brake response and controls the power going to the electric brake system of the caravan," he explained. "While the driver continues to brake, Elecbrakes will continuously calculate and adjust the brake response and power being supplied." It allows a trailer fitted with the device to be towed by any adequately-sized tow vehicle without modification to the vehicle. "The smartphone app allows the driver to manually apply the trailer brakes, as well as having a data page so the user can check things such as supply voltages, hours of operation, brake usage history and more," Craig said. "All settings are stored within the device on the trailer so whenever somebody else uses it the programs become available to that user." To use the app while driving and comply with legal requirements of all states and territories in Australia the phone must be cradled in a commercially available holder. Craig said Elecbrakes was ideal for caravan-owning families with multiple vehicles, councils, trailer manufacturers, people towing horse floats and owners hiring out their RVs. The smartphone app has been developed as a driver's aid and as such, the app has no moving graphics or complex menu systems. 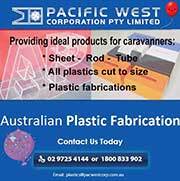 "Gone are the days where each and every car needs to be set up to tow a caravan," Craig pointed out. 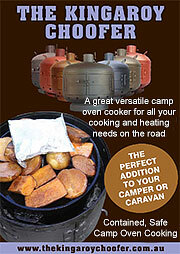 "Today, anyone with the correct car can hook up and go on a caravanning holiday. "Not only is this product a game changer for any traditional hire company, but also for the regular mum and dad at home who would have to fit a new controller each time they updated the family motor vehicle. 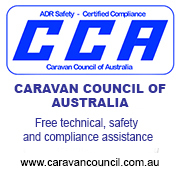 "This allows any family member or friend to borrow the caravan without the excessive costs and hassle of mechanically fitting an electronic brake controller to the motor vehicle. "The Elecbrakes unit can be easily installed on the drawbar of the caravan, which eliminates the need to drill holes and tamper with the mechanics of any expensive 4x4 vehicle." Growing up in Western Sydney, Craig soon developed a particular interest and curiosity in machinery. He utilised his father's machine shop as a playground for his ideas and developed a knack for designing unique products. Continuing his interest in design, he pursued a career as a product developer and later ventured out on his own to develop alternative brake controllers. With an interest in trailers and caravans, Craig noticed a huge gap in the market for safe and reliable brake systems. He began to look for an alternative solution after becoming aware that mechanically fitting a brake system to a car was too costly and mechanically invasive. He decided to develop a unit which provided a flexible and safer solution to the towing process. For more information on Elecbrakes, click here.